Singapore investors are increasingly getting itchy feet and more are eyeing overseas markets in the wake of ever tougher property market curbs at home. “We see a growing number of investors looking to invest overseas,” says Jones Lang LaSalle head of residential international sales Doris Tan. Mr Png Poh Soon, director of valuations at Knight Frank Singapore, notes that a lot of international funds are flowing into London but a limited supply of prime property means prices have climbed over the past two to three years, especially in central London. With the weaker sterling, the exchange rate favours Singapore investors, he adds. As appealing as a foreign property might be, not everyone can spare the hefty sums or deal with the stress. And owning an investment property requires dealing with issues such as finding a tenant and maintenance, which are made tougher by the distance. ”While attractive to investors as a tangible ‘hard asset’, (property) comes with high transaction costs and uncertain liquidity,” says Citibank Singapore wealth management head Shrikant Bhat. But if you are still keen on brick-and-mortar options, look out for this section next week, when The Sunday Times will be profiling some countries and the projects available. This week, we pick analysts’ brains for ideas on how investors can gain exposure to overseas property markets through stocks, real estate investment trusts (Reits), funds and other financial instruments. One option for investors is to buy Singapore-listed stocks of property developers. “The minimum investment outlay is typically far lower for stocks versus physical property across key global cities,” says OCBC Investment Research investment analyst Eli Lee, who notes that it is far easier to buy or sell a share than a physical property. Maybank Kim Eng research analyst Wilson Liew adds that buying property stocks allows investors to bet on the “value-creation process from property development” which could send the shares up. 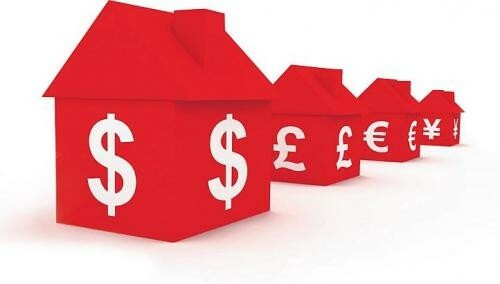 However, analysts warn that property stock prices could go south during a downturn. Stocks with overseas property holdings include developer Capita- Land, which has assets in China, Australia and Europe, and Keppel Land, which has exposure to China. City Developments has projects in China and holds hotels overseas through Millennium & Copthorne Hotels. CapitaMalls Asia has malls in China and Japan. Reits can suit investors looking for specific sector or geographical exposure, says OCBC’s Mr Lee. For instance, Fortune Reit invests in suburban malls in Hong Kong, Saizen Reit targets Japanese residential assets, and Ascott Residence Trust has invested in serviced residences across Europe and Asia. Reits in the Asia-Pacific region on average generate a distribution yield of about 4 per cent, according to UOB Asset Management. Investors seeking diversification could consider property funds, says HSBC Singapore’s head of retail banking and wealth management Paul Arrowsmith. These funds invest in a pool of property-related assets such as stocks, Reits and mortgage-backed securities. Mr Arrowsmith notes that the initial capital needed to buy unit trusts or mutual funds could be as low as $1,000, but be aware that there are associated costs such as sales charges and switching and fund management fees. Funds in this sector include the JPMorgan Global Income Fund, which allocated 5.3 per cent of its portfolio to global Reits as at end-April. Mr Anthony Ho, managing director of the global multi-asset group at J.P. Morgan Asset Management, says the fund pays dividends quarterly, which is better for investors seeking regular income. However, since it focuses on income generation, it may not suit investors aiming to maximise capital return, he adds. Another option is the Henderson Global Property Income Fund. It invests in global Reits with about 25 per cent exposure to those listed in Singapore. Like unit trusts, exchange-traded funds (ETFs) offer investors diversification. ETFs tend to charge lower performance fees than unit trusts and are generally pegged to an index. OCBC Investment Research analyst Lim Siyi says certain ETFs can provide twice or three times the daily returns of the index they are pegged to. But some ETFs use derivatives, exposing investors to counterparty risk. ETFs with exposure to overseas property include the Vanguard Reit ETF, which consists solely of US Reits, and the iShares Dow Jones US Real Estate ETF, which is 95 per cent US Reits, 4 per cent real estate companies and 1 per cent cash. The SDPR Dow Jones Wilshire Global Real Estate ETF has 83 per cent global Reits and 17 per cent real estate companies. None of these ETFs are listed in Singapore. They are listed in the US. Investors who want to buy foreign counters can check with their stockbrokers about how to gain access to the US securities market. Local brokers usually charge custodian fees for foreign stocks. Mortgage-backed securities (MBS) essentially let investors buy into the cash flows from mortgages. These instruments are more complicated than stocks or Reits and may not be suitable for risk-averse retail investors, say experts. ETFs that provide exposure to mortgage-backed securities include Vanguard Mortgage- Backed Securities ETF and the iShares Barclays MBS Fixed Rate Bond Fund. These are not listed in Singapore. The US also has mortgage Reits such as Annaly Capital Management and Armour Residential Reit. Neither is listed here. These kinds of Reits borrow using short-term debt and use that money to buy longer-term mortgage securities. Short-term debt usually has a lower interest rate than long-term debt, so the mortgage Reit earns the spread between the two types of debt. Another option for more well-heeled retail investors with larger risk appetites is private equity funds with property exposure. Ms Lisa Fong, head of flow products at Standard Chartered Bank’s wealth management division, says such funds are offered only to private banking clients. They are mostly close-ended, she adds, unlike mutual funds which are usually open-ended. Close-ended funds offer a fixed amount of shares in an initial public offering, whereas open- ended funds can issue and buy back shares at any time. Citibank says the minimum investment in private equity funds through its platform is US$250,000 (S$313,000), but this is usually available only to clients who meet minimum net-worth requirements. That means that if things go pear-shaped with the investment, you are pretty much stuck with it.